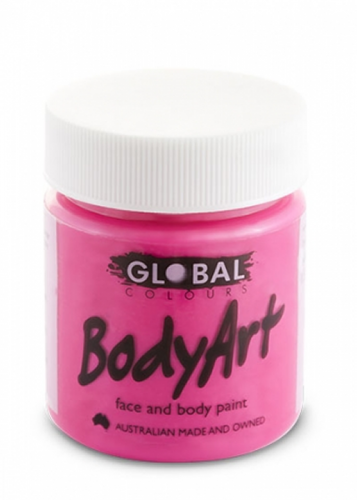 Global Colours Body Art are a world leader, famous for the quality and safety of their water-based products. One of the most appreciated cosmetic lines offered by us is our BodyArt range, used by professional artists and on movie sets worldwide. Global Colours cosmetic grade formula was developed, with the possibility in mind, that some performance artists may wear their body art all over, all day, nearly every day. Ideal for make-up artists, theatre and performance, sports team supporters, parties for children, festivals and fairs. Global Colours BodyArt was the official face and body paint for the Opening and Closing ceremonies of the Sydney Olympic Games. This premium body paint has a smooth ‘soft paste’ texture which allows it to be used directly from the jar. It dries to a soft velvety finish. APPLIES TO USA AND EUROPE ONLY: All Global Colours products, EXCEPT neon's are compliant with FDA and European Union Cosmetic Directives. Neon colours, like in many other brands, are made with pigments that have not been approved by the FDA to be used in cosmetics (the FDA has not tested them yet for cosmetic use) but they have been independently tested and have been determined safe for cosmetic use by independent laboratories. These products are approved for "Special FX". Following FDA guidelines these colours are labelled as Special FX product to be used on prosthetics, clothing, etc. 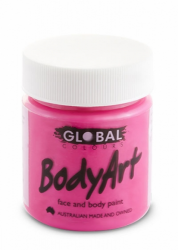 Click here for a material safety data sheet for Global Colours Body Art Liquid Face Paint.